I am going to admit something to you all. I am a little bit disappointed in the world right now. How so, you may ask? Well, my New York Yankees did not make it to the World Series. I know that’s a hard thing for me to admit seeing that I run a clinic in Los Angeles. I was rooting for a Yankees-Dodgers World Series. I grew up with baseball, a very American sport, and couldn’t have been happier with my hometown baseball teams. Besides being a New Yorker, I root for the Yankees because they never give up. Do you know how many games there have been where they have come from behind in the 9th inning? There are too many to list. When I watch a Yankees game, I never give up hope. And at times these days, hope can often appear to be in such short supply. Yet, as Bernard Williams noted “There was never a night or a problem that could defeat sunrise or hope.” I shared with you all many months ago, that I wake up and take a photograph of each sunrise because hope is the start of each day. Let me talk a little about fears as there are so many we share these days. We all seem to be living in a state of uncertainty, what with the almost daily upheavals in politics, international relations, and contentious issues like the future of healthcare, the ways in which immigration laws may change, and what seems like a rash of climate-change related natural disasters. Certainty is not the only way to maintain balance. One must look at the present as an opportunity to change the future. That is the essence of hope. Fear of an uncertain future is not uncommon. Hope is the antidote to fear that can otherwise paralyze or frighten us into inaction. Halloween is a time when people dress up in costumes and confront fears head on. Many willingly go into haunted houses or places like Universal Horror Nights or Knott’s “Scary” Farms for a chance to laugh in the face of their own fear. In this spirit of confronting what’s frightening, we should carry the same sort of concept into confronting our health fears. Maybe you know hypertension runs in the family and you’re at risk, but aren’t doing your part to reduce your blood pressure by limiting salt intake. Perhaps someone you know or love is suffering with an addiction to a medication and needs help, and you’re unsure what to do. Whatever the scary health topic may be keeping you up at night, channel your inner Wonder Woman, Superman or Yankee (ok, perhaps Dodger) and confront it now. Take the steps you need to live a healthier life, and help someone else do the same. The upcoming month of November is when we give thanks in another American tradition. We show gratitude for what has transpired in our lives while hoping to give many more thanks for the gifts of the coming year. This year has undoubtedly been difficult on many fronts. These last eight weeks have been absolutely tragic with yet another mass shooting, the natural disasters leaving so many displaced, hungry and powerless, the unmasking of the disempowerment of so many women out there in the work world, and the financial limbo in which community health clinics find themselves. It’s hard not to be affected or impacted — some of us much more so than others. While it has been a difficult year on many fronts, I remain grateful for the things that keep me grounded: my family, my friends and our patients. I know that I wake up each day thinking of what we can do to help the lives of our patients and make a significant difference in our community. Many of the day-to-day struggles of navigating a flimsy healthcare landscape are simply noise that we can tune out for the sake of our patients. And I ask the same of you all. Stay focused and optimistic. Together we can get through all this turmoil and remain grounded to our true selves. Meanwhile I hope you get to enjoy some pumpkin pie and perhaps a World Series win out here in Los Angeles (although it might break my heart). Help create healthier outcomes and inspire hope for brighter tomorrows. 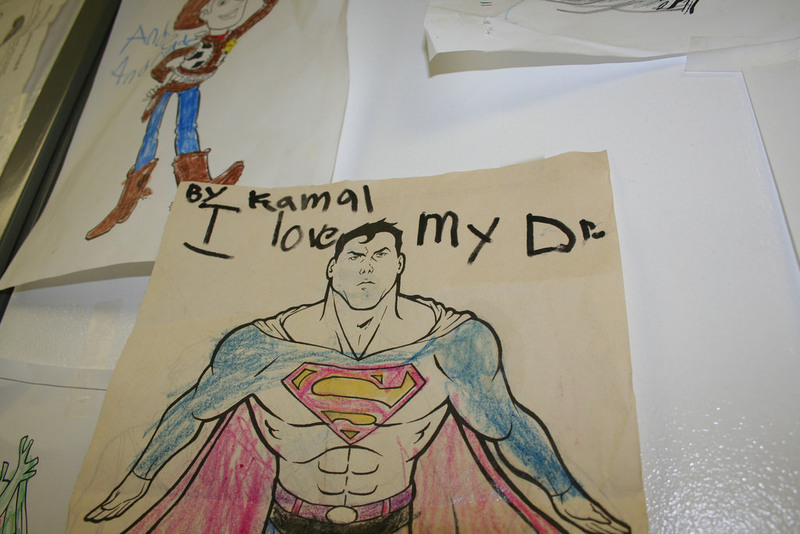 Your monthly tax-deductible contribution ensures that UMMA Clinic can remain a safe-haven and foster healthy minds, bodies and spirits for the South Los Angeles community.